Bennett’s human citizens were wiped out by the terre indigene’s Elders in the purge after the Humans First and Last movement failed. It is being allowed to rebuild with a mix of humans, Intuits, and Terre Indigene who will run the town. When word gets out that it is being re-settled with people who will work a trade and run businesses, there is an influx of people who wish to live there. Will humanity rear it’s ugly head again? Well, this is an Others book, so yes, but the story is fascinating and our group of townspeople band together to eliminate the threat that may live among them. Wild Country was one of my most anticipated books this year and it did not disappoint! A few characters were familiar from Lakeside, but their world that was shook up from the purge changed things dramatically. Humans are required to prove themselves with hard work and an unselfishness that does not come naturally to some of humanity. Our main characters are the exception and the way they rebuild trust is proof again that not all of humanity is corrupt. There were so many sub plots running through Wild Country that it’s hard to choose a favorite. I loved human Deputy Jana’s need for approval from her Sheriff Virgil Wolfgard, who does not trust humans after his pack was slaughtered at their hands. When he starts to treat her as pack, and she allows and understands it, my favorite moment of this book is created. Another great sub plot is between Jesse, an older intuit woman who is treated with some honor by the terre indigene, and Tolya Sanguinati mayor of Bennett. Tolya, just like Vlad in the Lakeside Others series, is intrigued by some of the more basic emotions in humans and with Jesse there is a trust that has been developed by working together on this project. I’m not sure where their relationship will lead, but I’ll admit that I too am intrigued and can’t wait to find out. If there’s another book in this series that is! I received a copy of this free ARC through NetGalley for my honest review and it was honest. Lake Silence is filled with a fantastic group of quirky characters. Vicki has self confidence issues stemming from the abused relationship she had with her ex. Seeing Lake Silence and the inhabitants through her eyes, you are given a very clear view of who are the good guys and who are the bad. When the police show up to investigate, Highway Patrol officer Grimshaw, reminiscent of Lt. Montgomery from the previous Others books, is completely honorable. Even in the face of the terrifying terre indigene, he looks past their scary faces and see’s the dangerous humans as more terrible. Ex-cop Julian, who previously worked with Grimshaw, is now a bookstore owner in the town of Sproinger. Friendly with Vicki, he becomes an integral part of the investigation and ultimately the conclusion. There is also a hint of a future romance between he and Vicki if he can get past her reticence to have any kind of relationship with a man. There are a couple of familiar characters, but other than a hint or suggestion of characters in previous novels, this is a whole new cast. I was disappointed at first but quickly became enraptured with being back in this fascinating world and meeting a new group of terre indigene and humans I could come to like just as well as Meg, Simon and the other inhabitants of the Lakeside Courtyard. Lake Silence is not just a quick fix but I can easily see it becoming another addiction. Marked in Flesh continues the story of shifter and leader of the Lakeside Courtyard, Simon Wolfgard, and cassandra sangue Meg Corbyn. The terre indigene have rescued the cassandra sangue, and in doing so have given the HFL (Humans First and Last) Movement ammunition to further human prejudice against the terre indigene. In this novel, that anger comes to a head and are acted on, providing impetus for the terre indigene to act, protecting their land and people. 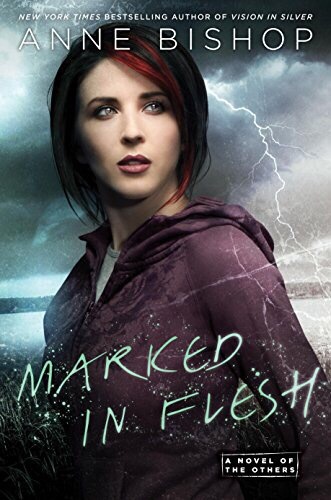 Marked in Flesh may be urban fantasy, but it’s storyline is a metaphor for our world today. Unfortunately for us, we don’t have an indigent species to save ourselves and our planet from our own greed, corruption and inhumanity. Meg is still liaison to the Lakeside Courtyard, but even more, through her prophecies she is providing insight into how their future world will be re-made. With the help of her friends, or female pack as the residents of Lakeside call her group of female human friends. Meg is also providing a service for the other rescued cassandra sangue. It is up to her, the pathfinder, to figure out how to make the world a comfortable, safe place for her kind to live. I like how this sub plot has given Meg more of a purpose than to provide the only humor in these books. Although I did miss the humor. Simon is also given a bigger purpose. Because of his involvement with Meg, the Elders are watching the terre indigene closely, and his group most especially. Simon is aware of how his reactions and actions with humans will affect their future. We get to know a lot more people outside our Lakeside group, since the HFL movement has spread to the whole world. I’ll admit, that even though I like the growth my favorite characters have made, I miss the smaller storyline of Simon and Meg’s budding relationship. It’s still there, but the book is more politically focused, and the romance is put on the back burner. At the end of the previous book, Simon and other terre indigene had destroyed most of the compounds holding the cassandra sangue and those young prophets went to live among the Intuit villages. Vision in Silver starts with Meg trying to figure out how to manage the cuts she craves, so she can pass that knowledge along to the other girls. If she cuts without feeling those pins and needles will she be able to hold off the need for cutting for a few weeks? The cassandra sangue are prophets, and with those cuts they see visions that, if spoken, deliver a euphoria very similar to sexual orgasms. That euphoria is very addictive, and most prophets live short lives because of that need. Meg’s prophecy, when she cuts, tells of a war that is to come between a dangerous faction called the HFL or Humans First And Last and the terre indigene and their more scarier Elders. 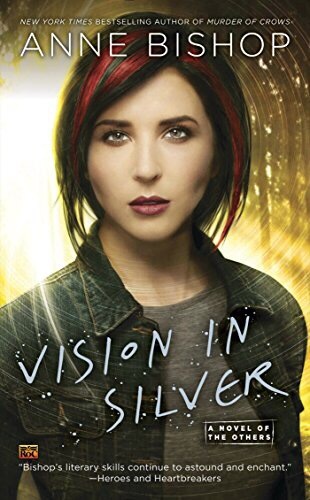 Vision in Silver is that third novel that spends time setting the stage for future conflicts. A lot of the book explores the hatred that humans feel for the Others. A hatred that shows parallels to what is going on in America in politics. Since this book was published in 2015 I know that the author couldn’t have known that her Nicholas Scratch diatribes would mirror the obscenities spewing out of our own presidents mouth. I couldn’t help envisioning the orange blonde swipe of hair and fake tan on my own vision of Nicholas Scratch. Those parallels made it even easier for me to root for the indigenous natives of Thasia, Meg, and the Lakeside residents that were their human pack. Meg, as the pathfinder for the other cassandra sangue girls rescued in the previous books, is trying to live as long as possible between cuts. Simon, her werewolf boyfriend, looks worriedly after her, trying to protect her, but not knowing how to go about doing that. He and the other residents of the Lakeside Courtyard seem to have made a pact to keep her from cutting, but as the HFL ramps up their efforts, Meg is feeling those pins and needles and needs to cut to make sure her friends stay safe. Unfortunately, in this novel, her prophecies won’t save everyone. Those deaths are the first step towards the Elders making a decision to eliminate humans and reclaiming all of their land. 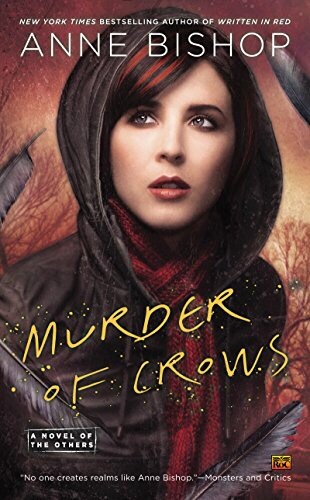 This series has quickly become one of my favorite urban fantasy worlds to live in and I wish it could go on forever. Unfortunately, there are only two books left in the series. 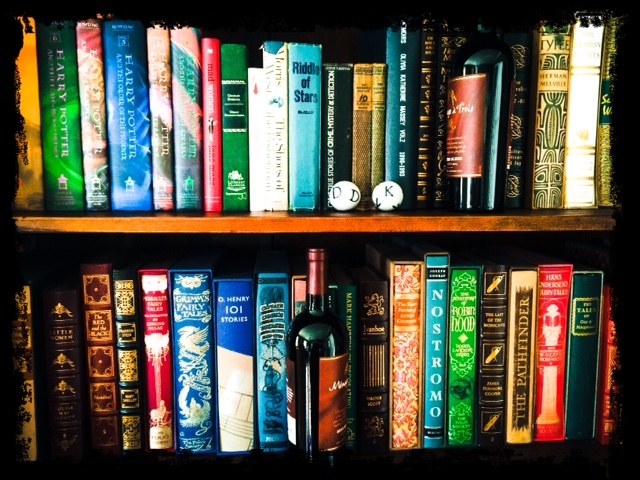 However, I will be re-reading these over and over again to visit with some of my favorite characters. Cassandra sangue, Meg Corbyn, is still working as the Human Liaison to the terre indigene in the Lakeside Courtyard. Simon, her boss, wolf, and new friend, has come to realize how delicate Meg is in comparison with the Others living in the compound and he guards that fragility ferociously. Meg’s prophecies are happening pretty regularly, not always requiring a cut, but sometimes that prickly feeling is so fierce that she is compelled to slice herself, disregarding her own safety. Her visions are full of violent images and the terre indigene of the Lakeside Courtyard have learned not to ignore what she says, as she has saved their lives before. It becomes apparent that a war between the terre indigene and humans is near when a drug poisons their food making them helpless in the hands of their human murderers. This novel lacks the humor of the first novel, although watching Meg and Simon tiptoe around each other is pretty funny, both completely clueless about their feelings, and how to act. The first book was about Meg and her safety, but this novel took an even darker turn on a larger scale. We are given an inside look at the unsavory business that holds the cassandra sangue hostage, and because we have come to care so much for Meg and love her innocence, we can’t help but be horrified at what she might have gone through while living in captivity. As this story unfolds, even though the terre indigene can be truly frightening, it’s the humans and their lack of humanity that have become the monsters.